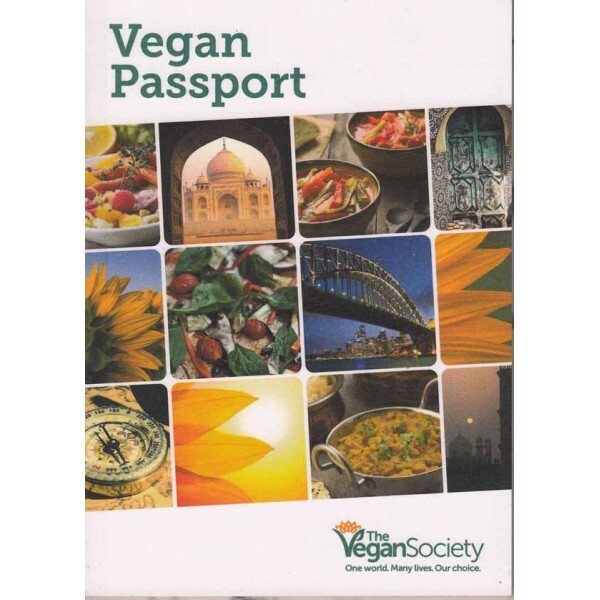 The updated 5th edition (July 2016) of this essential passport sized travelling companion for vegans now includes 79 languages, covering over 95% of the world's population, with a page saying what vegans do and don't eat in great detail. 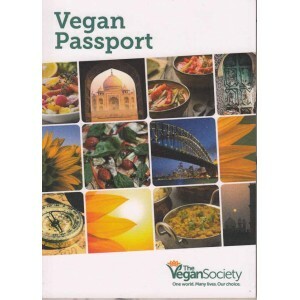 Let the waiter show it to the cook and you'll be sure of a totally vegan, animal-free meal in restaurants anywhere, even if no one speaks a word of your language. Includes English, Afrikaans, Albanian / Shqip, Amharic (Ethiopia), Arabic, Basque / Euskera, Bengali, Bulgarian, Burmese, Catalan, Chinese (traditional and simplified), Croatian / Hrvatski, Czech, Danish, Dutch / Nederlands, Esperanto, Estonian, Finnish / Suomi, French, Galician, German / Deutsch, Goan / Konkanim, Greek, Gujurati, Hausa, Hebrew, Hindi, Hungarian / Magyar, Icelandic, Igbo, Indonesian, Italian, Japanese, Kannada, Khmer (Cambodia), Korean, Latvian, Lithuanian, Malagasay / Malagache, Malay, Malayalam, Maltese / Malti, Marathi, Mongolian, Nepali, Norwegian / Norsk, Persian / Farsi, Polish, Portuguese, Panjaabi / Punjabi, Romanian, Russian, Serbian / Srpski, Shona, Sinhalese, Slovak / Slovensky, Somali, Spanish, Swahili, Swedish / Svenska, Tagalog / Filipino / Pilipino, Tamil, Telugu, Thai, Tibetan, Tigrinya (Eritrea), Turkish, Ukrainian, Urdu, Vietnamese, Welsh, Xhosa, Yoruba, Zulu.